Our product range includes a wide range of corrugated box, corrugated roll, palletised corrugated box, paper pad and edge protector. 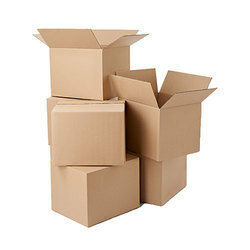 We are amongst the leading manufacturers, suppliers and traders of Corrugated Box. Being a quality oriented organization, we manufactured these boxes using ultra grade raw material in accordance with the international quality standards. These boxes are highly valuable to meet the client's specific requirements. We are offering these in varied sizes, shapes and designs in order to fulfill the client's exact specifications. 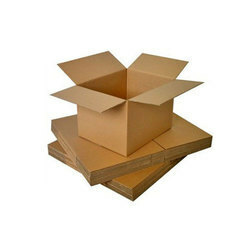 We are passionately engaged in offering an excellent quality Corrugated Box. The corrugated boxes offered by us are manufactured as per the set industry norms using finest material & leading techniques. 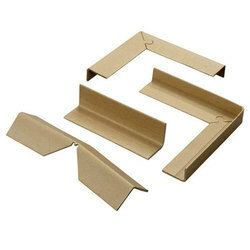 Our offered corrugated boxes are available in various sizes and thickness keeping in minds the customer’s demand. Also, customers can avail the offered corrugated boxes in a given time frame. 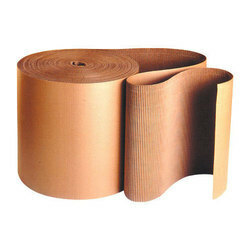 To fulfill the requirements of the clients, we are offering them a broad range of Corrugated Roll. This product is available in different sizes and customized design. We manufactured it with ultra grade raw material implementing latest technologies in order to make it highly suitable for packing of different products. Owing to the quality, it is widely used for protecting the fragile products like cups, glasses and bottles. Therefore, our product is widely used in crockery and glass factories. Being the most respected organization guided by experienced and knowledgeable professionals, we provide Palletised Corrugated Box. Our corrugated box is acclaimed among customers owing to its high strength & enhanced durability. This corrugated box is manufactured from the quality material and latest techniques by our skilled professionals. We offer this corrugated box on numerous specifications so as to meet the need of customers. We have put forth for our clients a wide range of Paper Pad. The product offered by our organization is a blocking, filling and wrapping material which is suitable for the irregular shaped products and fragile parts also providing the cushioning properties. These products are provided on demand which includes a machine and kraft paper. Our products can also be rented in order to provide not tie up capital in activities that are not part of the core-business areas. The products offered by our organization are highly flexible and reliable packaging system which is easy to handle and can also be used for a large range of products. These products are highly recyclable without any glue or stitches and are delivered in rolls or piles demanding little storage space as compared to the amount of packaging material produced by it. Our products are highly reliable and requires minimal maintenance. In order to meet the diversified expectations of the clients, we are offering a wide range of Edge Protector. It is manufactured with ultra grade raw material implementing sophisticated technologies so that it can meet with the international quality standards. It has dual usage and can be used for both machine as well as manual packaging. During the transportation, it provides high protection to the packaged products. We also customize this product as per the client's requirements.